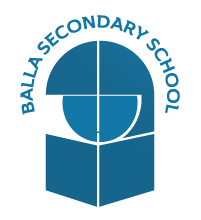 Balla Secondary School is a Christian community where all members grow to value their own worth as persons, their links with their family and the interdependence of all people. It offers both Junior Certificate & Senior cycles with a variety of options along the way. All our students are encouraged to partcipate in a wide range of extra-curriculur activities including: sport, musicals, debating, art, charitable fundraising and the school continues to enjoy considerable success in various local & national competitions. Balla Secondary School has a rich & proud history. During the 19th & early 20th Century the estate was the home of the Lynch Blosse Family who were the local landlords. The old house served as a military hospital during WW1 and the school was founded by the St. Louis sisters in 1920.